Heat the oil in a large non-stick skillet over medium to high heat. Cook the All Gold Tomato and Onion Mix and diced pepper for about 8 minutes or until softened. Add KOO Baked Beans and chilli flakes and cook until warmed through. Season with salt and pepper to taste and set aside. Whisk the eggs together and stir in the grated cheese. Spray a pan with cooking spray, and heat on medium heat. Reduce heat to low before adding the egg mixture and scrambling until cooked through. 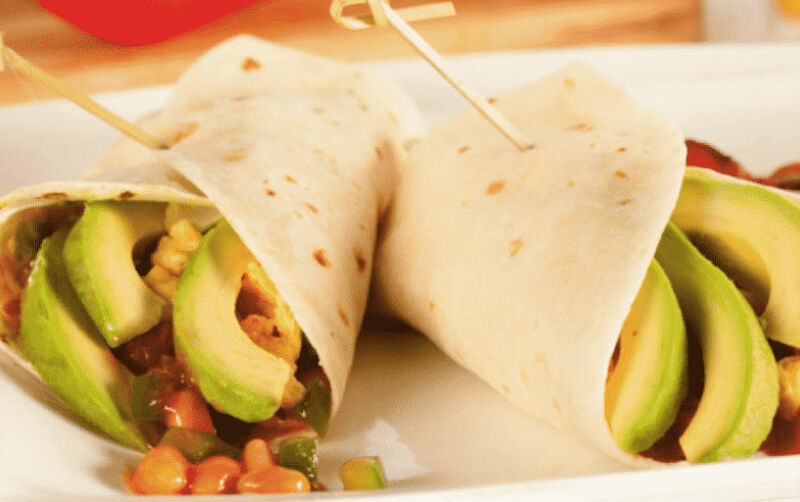 Spread each wrap with 1 tablespoon of sour cream, then layer with the bean and tomato mixture, scrambled egg and sliced avocado on top. Add a hot sauce of your choice and season to taste. Roll up the wrap burrito-style and serve. Add some diced, crispy bacon bits, fresh spring onion and sprouts to the wrap before rolling.